SEATTLE — The country of Guyana is ranked as the poorest country in South America. The ranking is the result of inadequate infrastructure and cleanliness, nonexistent routine maintenance and neglect of the poor and homeless to ensure a safe and thriving life for Guyana’s people. To change this, the World Bank has organized five development projects in Guyana to focus on changing the country for the better. The first of the five development projects in Guyana is the Transport Development Project. With a transport infrastructure that includes docks and vehicles, terminals, fleets, ancillary equipment and service delivery, Guyana is working on improving its current transportation. Air transportation, for example, is a link between coastal areas and communities that are inaccessible by any other transportation. Residents are highly dependent on this form of transportation. Air transportation is being improved in a few ways. The Cheddi Jagan International Airport in Timehri, Guyana will receive a terminal extension, installation of modernized security equipment, construction of a cargo complex and an upgrade of the crash and fire rescue service. This will assist in making the busiest airport both more accessible to residents to travel to various communities and will also address the importance of safe and reliable transportation. The Guyana and Brazil Road Project began to construct a road that would facilitate faster transportation of goods from northern Brazil to Port Georgetown. Currently, the amount of traffic causes a delay in transportation, and a new road would allow exports to reach their destination at a faster rate. This project will help Guyana increase its exports by reducing the amount of time it takes to deliver the product. In addition, it will create more employment opportunities and Guyana’s GDP will improve. With an unemployment rate of 11.4 percent as of 2016, this opening for employment will positively affect the country. Disposal of solid waste is an issue that must be addressed in Guyana. There have been issues with inappropriate methods of solid waste disposal, which has caused drainage canals to become clogged. This can cause both health and safety issues for the residents of Guyana. The solid waste management project will create a cleaner environment for residents. In order to solve the problem of an unorganized solid waste management system, the waste management infrastructure will be improved and a stronger promotion of waste-to-energy initiatives will take place. The project will seek to fix residential, commercial, industrial, discarded oils and electrical and electronic refuse waste. By 2024, there is hope that 40 percent of generated waste will be recycled, composted, or put to use as energy. The Guyana Education Sector Improvement Project, which started in April 2017, is working with the five education sectors of early childhood, public administration, primary, secondary and tertiary education. The sectors then are split into human development and gender goals that focus primarily on improving education facilities. Teachers are given a top priority as well, as they are responsible for teaching a new curriculum, engaging in socially inclusive practices and improving their teaching practices. 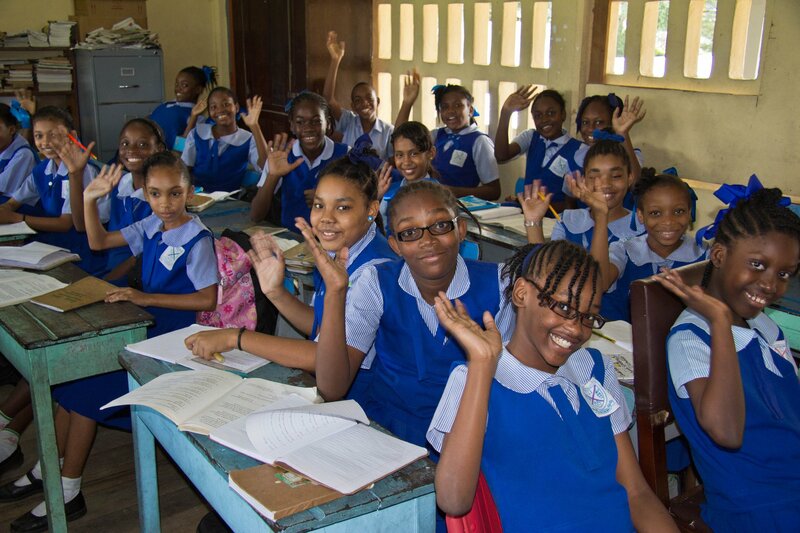 With a new curriculum and better teaching practices, students, teachers and parents will be positively impacted by the education sector development projects in Guyana. In order to record the satisfaction rates, a survey is to be conducted and analyzed in April 2023 to understand whether or not this project is going to be successful. The purpose of the Guyana Early Childhood Education Project is to improve the development of literacy and numeracy for children in nursery and primary school. Remote areas and the Hinterland regions are the target areas to be focused on. There are four components of this project. The first will improve the teaching abilities of the instructors by building their curriculum knowledge that relates to emergent literacy and numeracy. The second component will include a larger supply of teaching and learning material for students and teachers. The third component is the application of primary caregiver education for students in nursery and primary school, along with their siblings. This component will give more support to students and their siblings as they are learning new material. Lastly, the fourth component is based on appropriately monitoring and evaluating implementation, impact and fiduciary matters. These five development projects in Guyana aim to create better communities for the Guyanese. Each project holds a significance that is individually able to change the nature of Guyana’s communities, and every project gives new hope for a better future for Guyana.